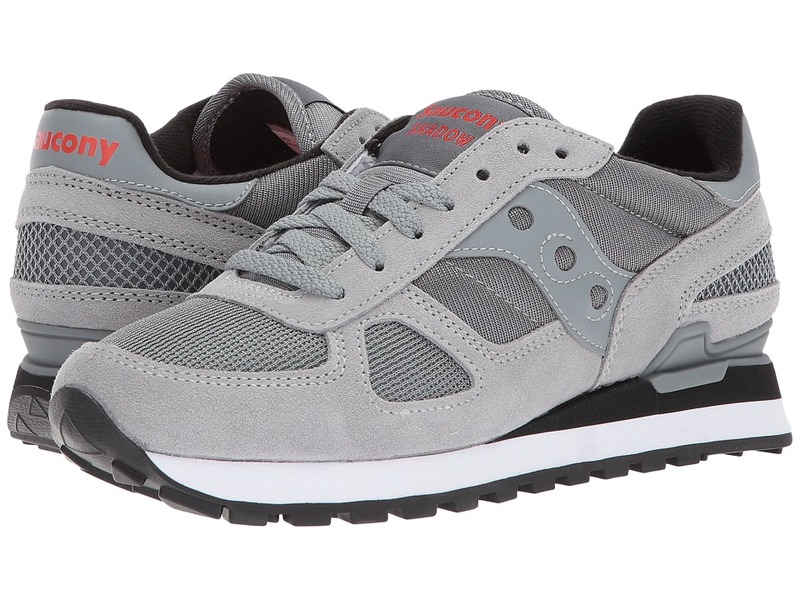 The Saucony Jazz Original, because you can always get down with a classic. Nylon and suede upper. Padded collar and tongue for comfort and support. Soft fabric lining. A cushioned footbed provides superior shock absorption, fit, and extra comfort. Rubber outsole provides superior traction. Imported. Measurements: Weight: 9 oz Product measurements were taken using size 8, width D - Medium. Please note that measurements may vary by size. Weight of footwear is based on single item, not the pair. Sporty, carefree, comfortable lace-up shoe. Nylon/Suede upper for long, beautiful wear. Padded tongue, collar, and footbed provide superior shock absorption, fit, and extra comfort. Rubber outsole provides superior traction. This sporty design is great for all occasions. Measurements: Weight: 9 oz Product measurements were taken using size 7, width B - Medium. Please note that measurements may vary by size. Weight of footwear is based on single item, not the pair. Lower than the original but still just as sick! With its sleeker, closer-to-the-ground design, the Jazz Low Pro pays homage to its bigger brother while continuing to deliver that fresh, retro style that you~ve grown to love from Saucony Originals! 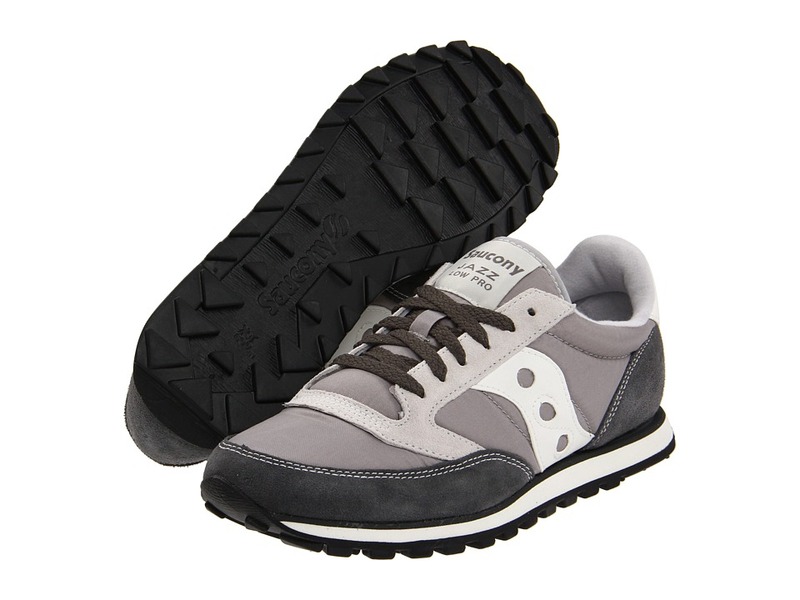 Combination nylon and suede uppers provide comfort and rugged durability. A foam-padded collar and tongue delivers a sensational fit that~s noticeable right from the start. Fabric lining with a removable EVA sockliner. Traditional lacing closure for optimum fit. A slimmed-down EVA midsole provides ample cushioning. XT600 rubber outsole with classic triangle tread pattern for traction. Imported. Measurements: Weight: 12 oz Product measurements were taken using size 7, width D - Medium. Please note that measurements may vary by size. Weight of footwear is based on single item, not the pair. 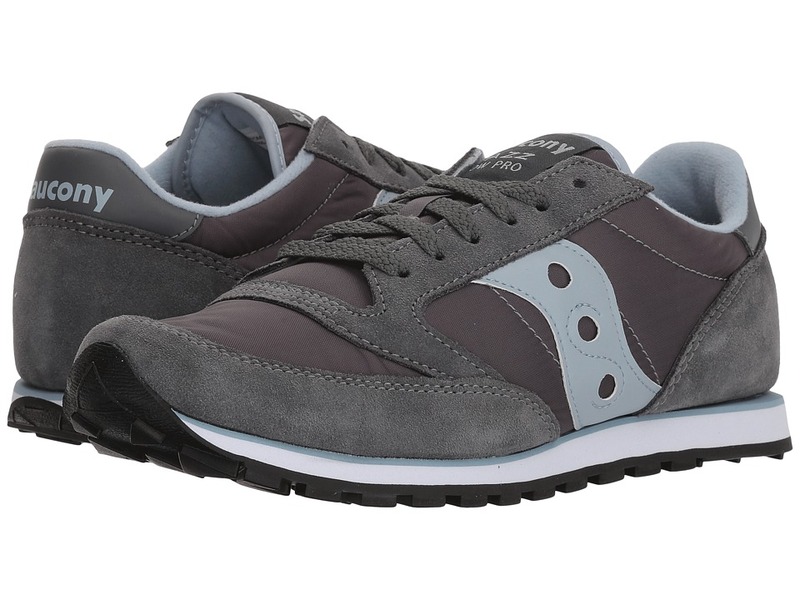 Stay fly in the versatile Saucony Jazz Low Pro Vegan shoe! Durable canvas upper. Lace-up front for optimal fit. Padded collar and tongue provide a cozy fit. Soft, textile lining for a great, in-shoe feel. Cushioned footbed provide superior shock absorption and extra comfort. Rubber outsole for superior traction. Please note: the Navy colorway has been updated and may appear different than pictured. Imported. Measurements: Weight: 11 oz Product measurements were taken using size 7.5, width D - Medium. Please note that measurements may vary by size. Weight of footwear is based on single item, not the pair. You~ve stood in the crosshair of mediocrity for so long that you~ve lost sight of what~s cool anymore. 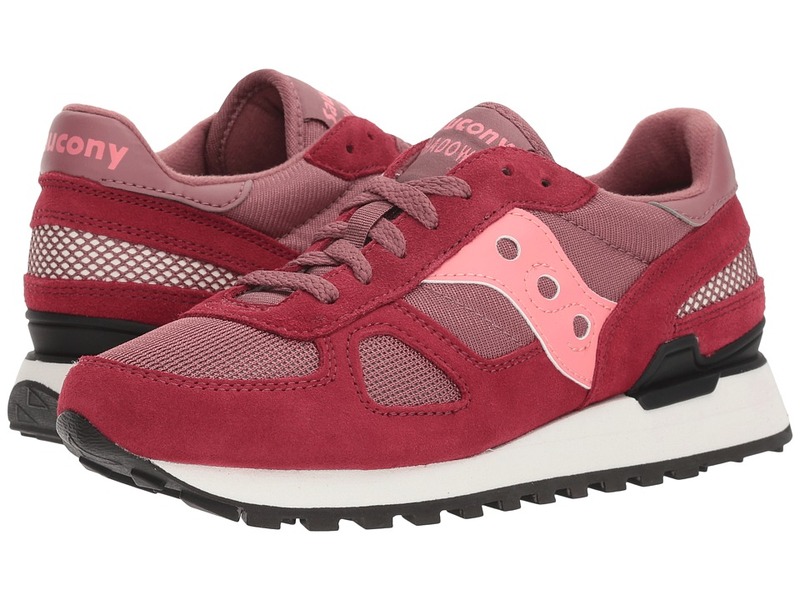 Lucky for you, Saucony Originals offers these classic Bullet sneakers that are sure to give you that shot of youthful energy you~ve been missing! Nylon upper with suede overlays for that heritage look and feel. Traditional lace up closure for optimum fit. Lightly-padded collar and tongue. Synthetic leather lining with lightly padded, removable sockliner. Low profile EVA midsole. 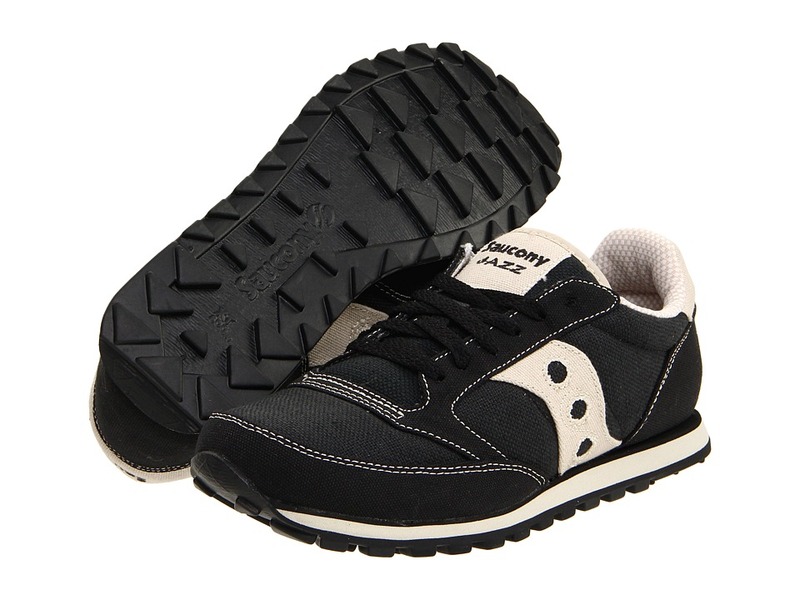 Rubber outsole with signature Saucony Originals triangle tread pattern for traction. Imported. Measurements: Weight: 8 oz Product measurements were taken using size 7, width D - Medium. Please note that measurements may vary by size. Weight of footwear is based on a single item, not a pair. 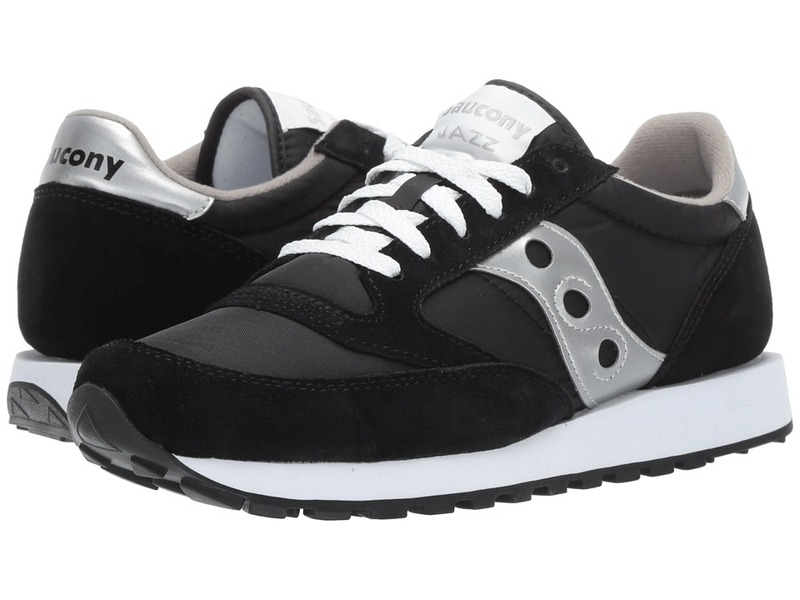 Great looking low-profile silhouette from the Saucony archives. A cross-country platform creates an authentic retro feel. Nylon upper with suede overlays. Low profile EVA midsole with wraparound rubber outsole. Measurements: Weight: 6 oz Product measurements were taken using size 7, width B - Medium. Please note that measurements may vary by size. Weight of footwear is based on single item, not the pair. What happens when you cross a Jazz Original with a Shadow 5000? A fresh one-of-a-kind sneaker! Don~t let these Shadow Original languish in the dungeon of your closet, a retro-inspired sneaker like this needs to see the light of day! Combination mesh and nylon uppers with suede overlays for long-lasting durability. Padded collar and tongue delivers a comfy fit. Comfortable fabric lining and a cushioned EVA sockliner for all-day comfort. Traditional lace up front provides optimum fit. Marshallowy EVA midsole cushions and absorbs shock. TPU heel piece provides extra support. 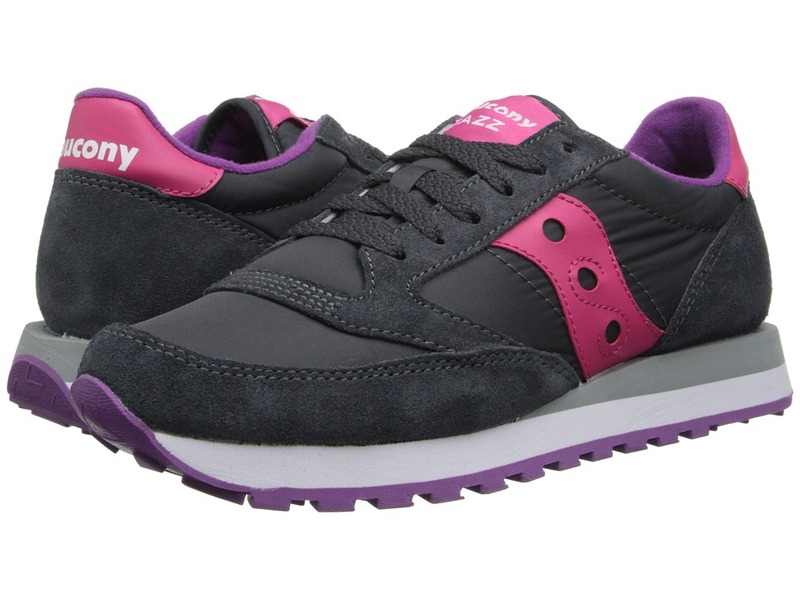 Classic Saucony Originals triangular rubber tread pattern. Imported. Measurements: Weight: 13 oz Product measurements were taken using size 12, width D - Medium. Please note that measurements may vary by size. Weight of footwear is based on a single item, not a pair. What happens when you cross a Jazz Original with a Shadow 5000? A stunning mash-up worthy of the sneaker gods! Don~t let these languish in the dungeon of your closet, a retro-inspired sneaker like the Shadow Original needs to see the light of day! Combination mesh and nylon uppers with suede overlays for long-lasting durability. Padded collar and tongue delivers a comfy fit. Comfortable fabric lining and a cushioned EVA sockliner for all-day comfort. Traditional lace up front provides optimum fit. Marshallowy EVA midsole cushions and absorbs shock. TPU heel piece provides extra support. 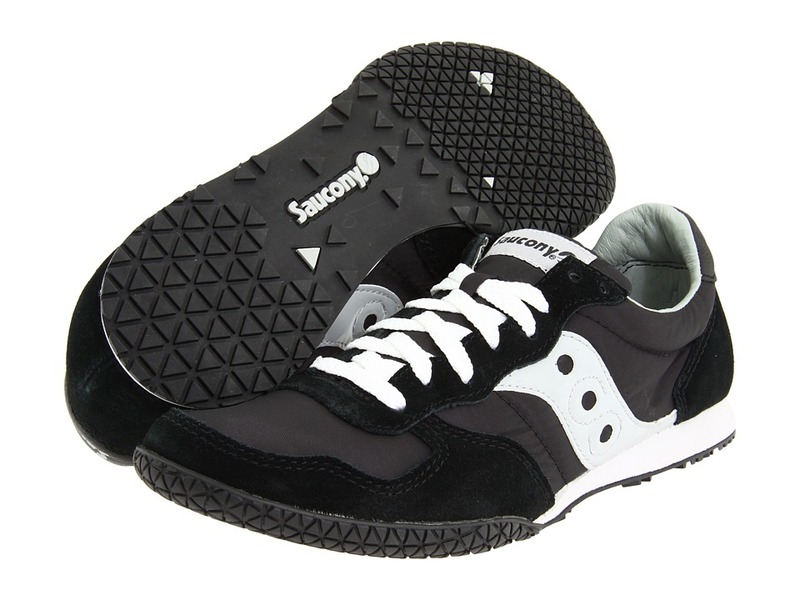 Classic Saucony Originals triangular rubber tread pattern. Imported. Measurements: Weight: 13 oz Product measurements were taken using size 8.5, width B - Medium. Please note that measurements may vary by size. Weight of footwear is based on a single item, not a pair.